Today the church is awakening from a long slumber of ignorance. Many Christians now seek to keep the biblical feasts that God outlined in scripture for both Jews and believing Gentiles who place their faith in Jesus Christ. This includes keeping the “full Feast of Passover” rather than just a portion of it by drinking what the church calls the “communion” cup during the Lord’s Supper. This book provides fresh insight for you regarding God's set appointments to meet with His family. It answers the question..."Why Should Christians celebrate Passover? and outlines Apostle Paul’s instruction to the church to observe it. This book not only biblically destroys the myth that Passover is just for the Jews, but highlights the prophetic insight of why Christians were included in God’s Passover from the beginning. This book will help to restore to you the corresponding blessing of observing Passover and help catch you up on what you've been missing at the Passover Feasts. In this first book of a three part Passover series; you’ll see that God has reserved a special place at the Passover Feast for you. You've decided to celebrate Passover. So now what? This book will make it easy for you to host Passover with your family and friends. It will guide you in the basics of what you should do to prepare before your guests arrive at your Passover table. In a few, simple, easy steps; it outlines what you need to know to set up for your Passover celebration including your Seder plate grocery list! This book is part two in a three part "Passover series." You will want to refer to this book as you prepare for Passover year after year. The Passover is a well-known Jewish holiday and time of remembrance of Israel's history of enslavement by the Egyptians. Each year at Passover, Jews worldwide celebrate God's spectacular deliverance of the nation of Israel from slavery in Egypt. But did you know that Apostle Paul tells Christians to also keep and observe the yearly Feast of Passover; and calls Jesus Christ our Passover Lamb? This often forgotten instruction given by Apostle Paul to the church has resulted in the blessing of observing the Passover to be lost to many Christians today. In this book you will clearly see how the Lord planned for this time of remembrance to not only be observed by Jews; but also to be a unique time of remembrance for Christians also seated at the Passover table. This book explains not only why Paul instructs the church to observe Passover every year; but how you as a Christian can actually conduct an orderly, biblical, step by step Passover observance in your home with family and friends or with your church. The Passover: Order of Service for Christians, completes a powerful three part series on Passover; helping Christians to recapture for themselves the blessing of Passover. You’ll find this series to be useful to you year after year. In spite of frequently saying “God bless you” and “Oh, I’m blessed” the reality for many Christians who attend church, pay tithes, worship, pray and praise is that experiencing God’s blessing is a “hit or miss situation” and sadly more miss than hit. The blessings of God are noticeably absent in their lives and they struggle with sickness, addictions, family strife, divorce, conflict, abuse, lack and poverty as much or more than those who never claim to be blessed by God. But God promises to bless His people and Christians are His people. So what’s the problem? This book helps you identify the problems and fix them through using the ancient principle of blessing. God first gave this power to Jews and later extended it to Christians who believe in the Jewish Messiah Jesus. Jews continue to practice this powerful principle and walk in God’s blessings today. But the church suffers because it virtually lost this valuable practice. These pages will restore to Christians what God still wants for His people-to have a better life through blessing. 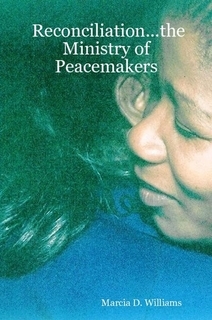 The guide to biblical peacemaking ministry for individual, families and churches. It provides practical steps to bring peace and reconciliation to conflict situations and bring healing to broken relationships. 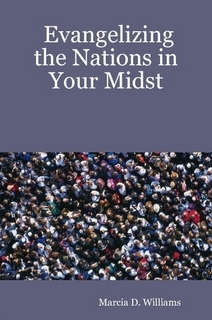 This book provides practical steps for ordinary Christians to reach the people of the nations living in their neighborhoods with the gospel of Jesus Christ. It gives simple tips on evangelism helpful to use in personal and corporate ministry outreach. It is effective for youth and adult evangelism training. 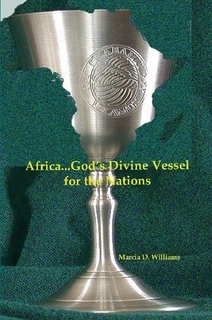 This book reveals God's exceptional and divine purpose for creating the African nation and its people. 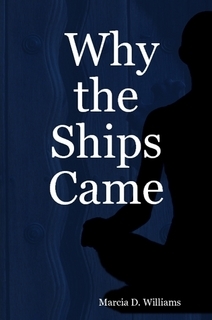 It reveals how God uniquely equipped the nation of Africa to accomplish and carry out their purpose in the earth. 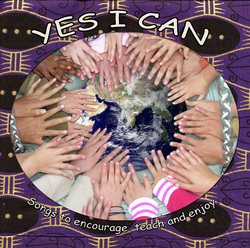 and nine other wonderful children songs!